These eggs are in our front yard at Green Lake. 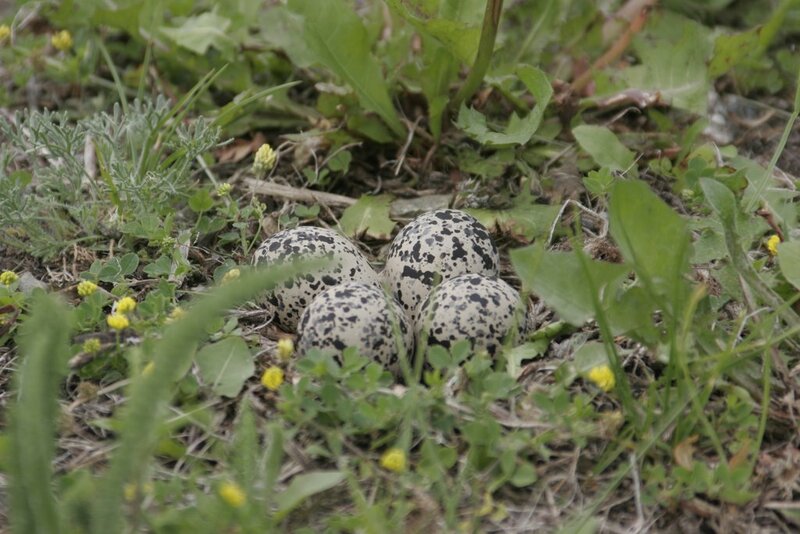 The kildeer (sp) will hop off and pretend to have a broken wing to act as prey so us (the bad guys) will stay away from her eggs and get her instead. 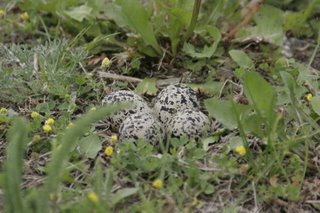 killdeer..named after what it does to deer. sheesh stew don't you know anything..man. bet you could fry those bad boys up and eat them w/ some bullseye...mmmmm, that's a recipe you should write down.